It’s nice to have a change from the usual bright colours I choose for my boys. They both suit earthier tones and these printed nature themes pair beautifully with such shades. 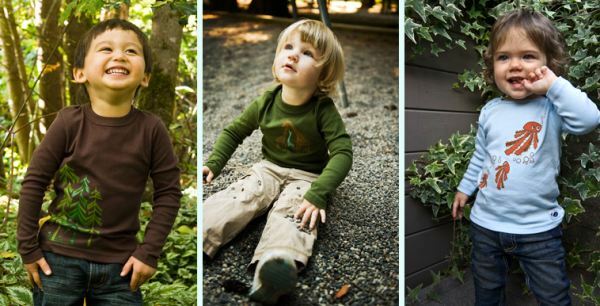 Kiri Kids is a brand from Vancouver, Canada whose fashion is soothing to the eye. All pieces are made in North America and are sweatshop-free! The label was started when the founders went on a whale watching tour and saw a humpback whale with her baby. So with that as their inspiration, nature became the theme of Kiri Kids. Stock up for winter and choose from long-sleeved tees, hoodies, hats and onesies featuring fish, trees, whales, octopi and giraffes. Prices start at US$12.50 for the hats and go up to $36 for the hoodies. Kiri Kids happily ships internationally.